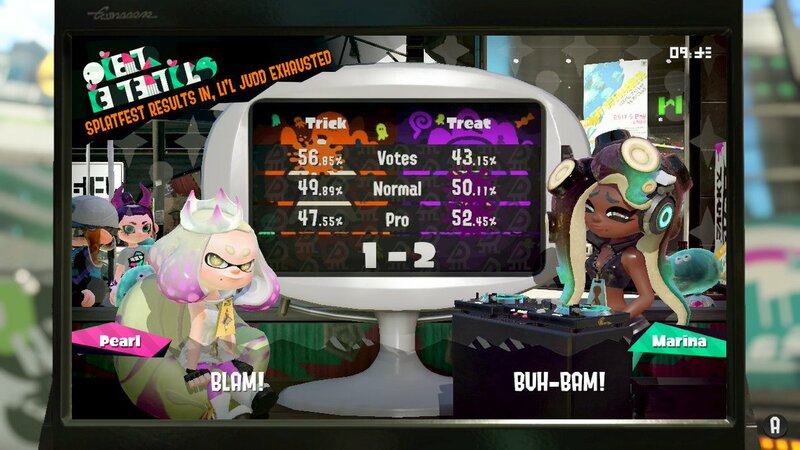 This year’s Halloween 2018 Splatfest has come to an end in Splatoon 2 worldwide. Team Treat won the Splatfest against Team Trick in a 2 to 1 ratio. While Team Trick garnered 56.85% of the votes, Team Treat took 50.11% and 52.45% of the Normal and Pro wins respectively.